The Beard LeRoy Mack™ Signature Model 206 is inspired by LeRoy’s rare 1930’s Dobro Model 206, of which only 3 are known to exist. 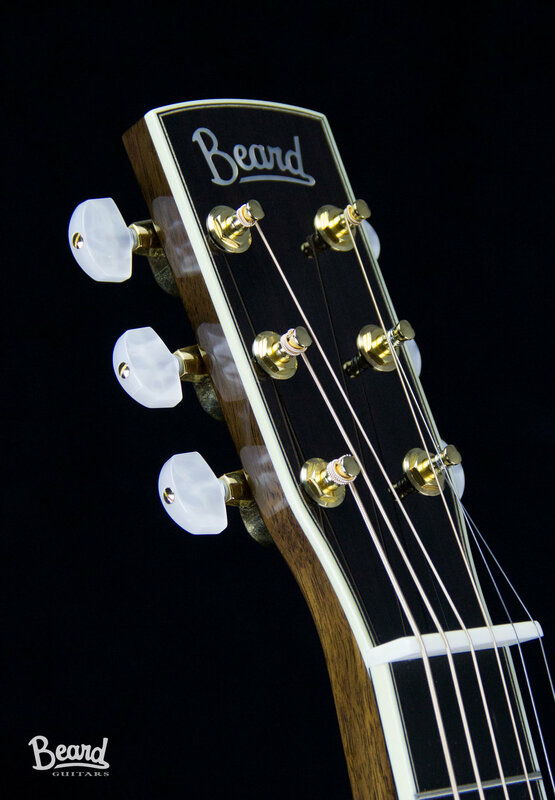 The Beard Model 206 is fantastic example of Beard Guitars commitment to craftsmanship and artistry. 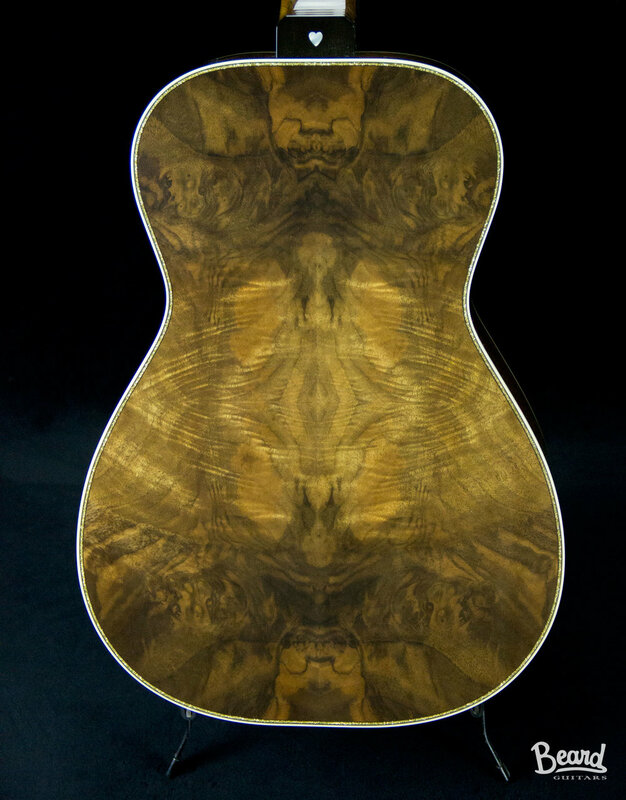 This one of a kind resonator features a spectacular 4 way bookmatched walnut back and a solid Spruce top. It features the "R" body shape and open soundwell construction lending to its vintage tone, clear highs andmidrange rounded out with a solid bass end. The ornate Leroy Mack Signature 206 sports classic Ivoroid binding with gold sparkle trim, engraved diamond inlays and a heart inlayed on the neck heel. 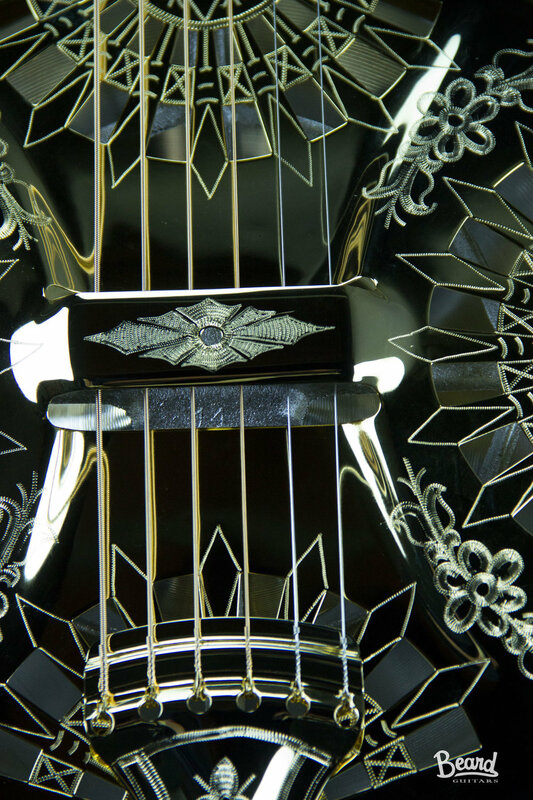 The richly hand engraved tailpiece, soundscreens and coverplate are plated in 24 karate gold. The cover plate features Leroy Macks signature. Due to the complexity and detail of the 206 this is only the 11th guitar of its kind! 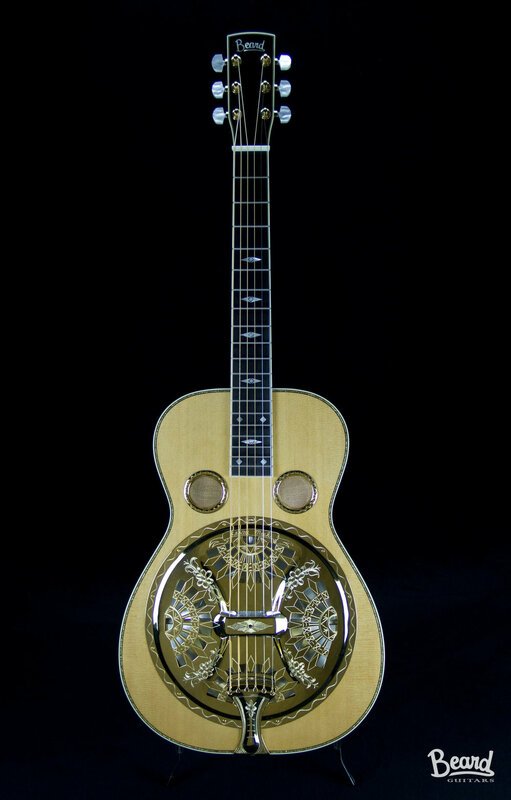 This truly spectacular and resonator is up for sale just in time for the Holidays!! CLICK HERE TO PURCHASE!